Facebook is going 3D. The social media giant is in the process of rolling out support for the glTF 2.0 file format for 3D Facebook posts, which means you’ll soon be seeing more 3D content in your News Feed. The change means 3D artists and creators will be able to share richer, higher-quality 3D content. For users, it means more detailed interactive posts that let you scroll around in a 360 view of an object and tapping or clicking to explore every angle of the graphic. Facebook announced 3D compatibility for the news feed last October, but this month’s update adds support for the industry-standard file format. According to Facebook’s creative director for social VR, Ocean Quigley, going 3D is a natural progression for the social network, which has moved from text, to photos, to videos, to 360 videos and immersive media. It’s also laying a foundation for taking the next steps required to move into the 3D worlds of VR and AR. While this announcement is exciting news for 3D artists, it also signals a shift toward a more immersive online shopping experience for eCommerce. Imagine being able to drag-and-drop 3D renderings of your products to Facebook so consumers can see them from every angle before making an online purchase? Well, with this new file format, that’s just one new marketing possibility. What exactly are 3D Facebook posts? The glTF 2.0 file format allows for 3D objects with textures, lighting and realistic rendering techniques. Basically, objects that are anything and everything from rough to shiny, metallic to soft, and beautifully detailed. Unlit workflows are also supported by 3D posts, allowing brands to publish photogrammetry and heavily stylized art. New Graph API endpoints with 3D post support let developers build 3D sharing into any app, so users can share interactive objects or scenes directly to Facebook from their design programs. Using the new Open Graph tag, developers can also share 3D content from their website to their Facebook account or page. Sharing 3D content to Facebook is easy – users with 3D authoring software can directly drag and drop their 3D files to Facebook to create a 3D posts. SQUAAAARK! New 3D models on Facebook, you say? Yes please! 😍 Have a play by dragging the below around with your finger or mouse. Touch/pinch Magic Archer’s 3D model to see this Legendary Card up close! Can you find the hidden message…? Facebook product manager Aykud Gönen said richer 3D posts opened the door for a “future where people can bring interesting objects and experiences with them across AR, VR, mobile and web.” This includes everything from game and movie characters to architectural models or museum artifacts, and even fully interactive scenes. Why is Facebook supporting 3D posts? This move is Facebook’s latest attempt to better align its VR efforts, uniting Facebook Spaces (a VR app that lets you “hang out” with friends in an interactive virtual environment) with its social platform. But not just that. The company spent $2 billion in 2014 acquiring Oculus, the maker of Rift, a headset designed to immerse you in 3D games and other VR. At the time, CEO and founder Mark Zuckerberg said the technology opened up the possibility of completely new kinds of experiences, and not just around gaming. “After games, we’re going to make Oculus a platform for many other experiences. Imagine enjoying a court-side seat at a game, studying in a classroom of students and teachers all over the world or consulting with a doctor face-to-face – just by putting on goggles in your home,” Zuckerberg said. 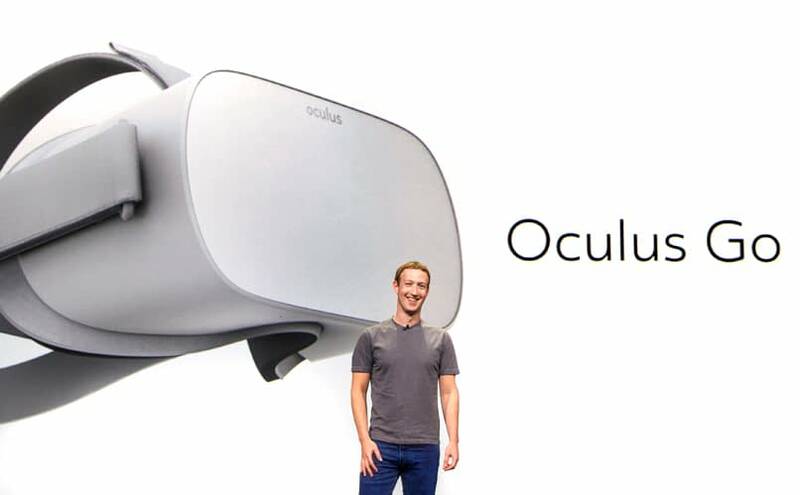 Last year at Oculus’ Connect conference, Zuckerberg announced an ambitious – not to mention aggressive – goal for his company’s VR growth: 1 billion users. Shortly after, the number of listed job openings at Oculus nearly tripled. Facebook has also partnered with the University of Washington’s Reality Lab. Based in Seattle, the home of Oculus Research, the $6 million venture is one of the world’s first academic centers dedicated to virtual and augmented reality. The move is a clear indication that Oculus – and Facebook – plans to take advantage of the lab as an incubator for future AR/VR research talent. But back to 3D Facebook posts. While we know the end goal is immersive virtual reality experiences, Facebook product manager Aykud Gönen, who announced the new 3D file format support, to get there, the social giant would be working on supporting even higher quality 3D models, enabling interactive animations and bringing 3D content into the real world using AR. What do 3D posts mean for marketers? Online shopping can be disappointing. Sure, it’s convenient being able to buy anything you want with a click, but often the results don’t match your expectations, particularly when a product image is combined with just a few short sentences. Just last week, I bought a dress online that didn’t fit. I’m sending it back. The potential for 3D eCommerce is massive. Everything from interactive 3D posts, such as what Facebook is providing, to augmented and virtual reality using wearable computers are only more potential channels for reaching consumers. With 3D Facebook posts, retailers and marketers can provide a shopping experience that is somewhat closer to the physical in-store shopping experience – VR will be even closer. 3D posts will no doubt serve as a convenient way for Oculus developers to show off the cool things they’re making, allowing people who don’t have a headset to preview VR creations. 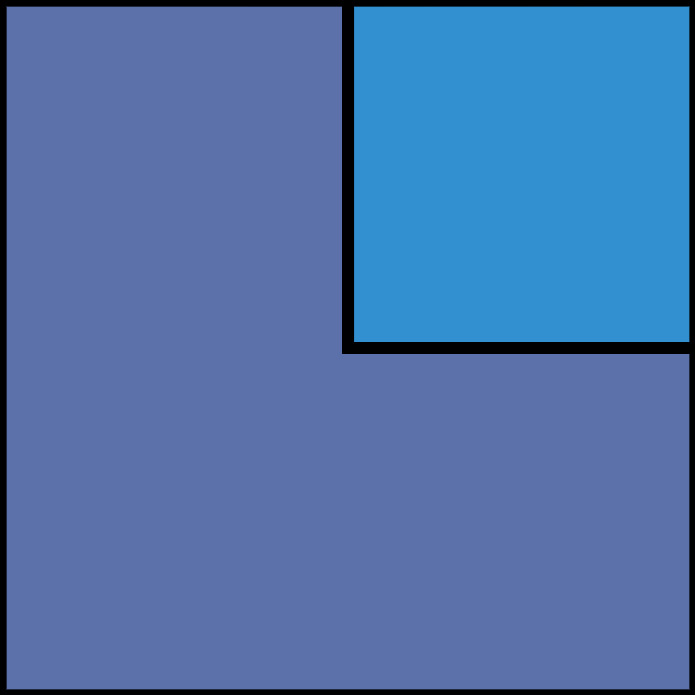 But for marketers, this new post type opens up a world of possibilities. As in the Lego example above, brands can now show off their products from every angle. Consumers can click and rotate. For now, at least until 3D Facebook posts become the norm, they will catch the attention of users who typically scroll past regular 2D ads in their news feed without a second thought. For example, furniture store Wayfair shared a virtual entryway look, allowing people to check out their furniture items context before “shopping the look” on their online store. Users can click to rotate the furniture and see how the individual items sit together, and how they could potentially look in their own home. In another exciting example that shows off how clothing retailers could take advantage of 3D posts, Sony shared this interactive graphic of a purse scanned with a Sony phone. With 3D eCommerce, retailers aren’t limited by real-world constraints, including the costs of running a bricks-and-mortar store. As more and more consumers shop online rather than in physical stores and opt for a more authentic and enhanced digital shopping experience, retailers will have to change how they market and sell their products. While many businesses have embraced Facebook video and use advertising campaigns to boost their posts, 3D posts offer a richer user experience. Awareness of 3D in eCommerce is still growing since it’s a relatively new concept, but brands thinking about how it will impact their business is slower than it probably should be given the potential impact it will have. Businesses that neglect to embrace 3D now that Facebook is supporting it will be left behind once their competitors move to using it. It must be said, however, that creating a 3D post isn’t going to be easy for everyone, and certainly not something every business will want to do for every single post. The fact is, for most people, concepts like AR and VR are still futuristic ideas that are not part of their current reality and it will take time to get accustomed to 3D Facebook posts. Quigley says the hope is to keep the upload flow pretty simple and streamlined when sharing 3D Facebook posts so it doesn’t require high-tech skills. He calls glTF 2.0 “the JPEG of 3D,” adding the file format has support from Google and Microsoft. To get started posting 3D objects to Facebook, you can either directly uploading a 3D file from your desktop, share a link from a website that supports 3D sharing to Facebook, or use an app that supports Facebook’s new API. If you have a 3D model that’s not a gITF 2.0, Facebook has open-sourced converters on GitHub so you can convert them to Facebook’s preferred file type. If you have an Xperia XZ1 phone, you can easily share 3D memories you capture via Sony’s 3D Creator app. 3D modeling software Modo has also added the ability to generate Facebook-ready files, with support coming to more 3D programs soon. For those who are creating 3D models in VR, you can share a 3D model to Facebook directly from the Oculus Medium web gallery and soon from Google’s Poly. Facebook has also recently launched animation tools for its Quill creativity software to bring scenes and objects to life. It’s entirely likely that these creations will also feature in News Feeds one day, alongside animations from other programs. It’s not just Facebook that is aggressively pursuing 3D and other technologies. Google and Microsoft, along with startups like Sketchfab are racing to turn the web 3D. Depth-sensing phone cameras and VR software like Sony’s Xperia, Quill, Blocks and Tilt Brush are making it possible and easier for anyone to create 3D content. Once upon a time, designing 3D objects was left to enthusiasts who embraced 3D printers, and experts working in video games or movies. Now it’s increasingly accessible and possible for anyone. While Facebook isn’t helping creators build 3D objects, it’s making it easier to import and share these objects. It’s also opening up its platforms for greater sharing of 3D graphics, and potentially AR and VR in future, as it works toward uniting its social and VR offerings. Obviously, Facebook has a vested interest in pushing as much AR and VR-friendly material to its platform as possible. Encouraging more people to share 3D posts will make it more “normal” to see this kind of technology in your News Feed. The more you see 3D, and eventually more AR and VR, in your News Feed, the more like it is that you might want to buy an Oculus Rift for a fully immersive VR experience. Facebook’s plan, for now at least, is to get more 3D objects into news feeds, encourage creators to share more 3D graphics and create immersive experiences, with Facebook at the center of this virtual – and not-so-virtual – reality. But whether 3D Facebook posts gain popularity and is actually meaningful will depend on whether creators and brands leverage it to create unique and useful experiences for consumers. Facebook Ads vs Boosted Posts: Which Should You Choose?